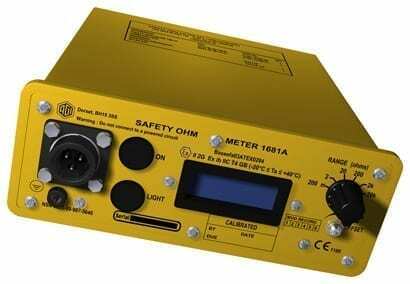 The 1681A safety ohm meter has been designed to measure the resistance of different types of explosive devices such as detonators and squibs. 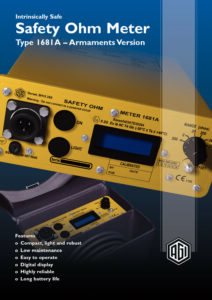 It meets the UK Ministry of Defence standard 07-85 for intrinsically safe operation when working with explosives. It is also ATEX certified to 11 2G EEx ib 11C T4. Power is provided by four AA size approved batteries and the unit has a 3½ digit display. Six measurement ranges enable it to measure resistances from 1mΩ and 20kΩ.